Fire barrel is empty today. After cleaning up the excess glue from the latest prototype, I remembered the one I glued up backwards. 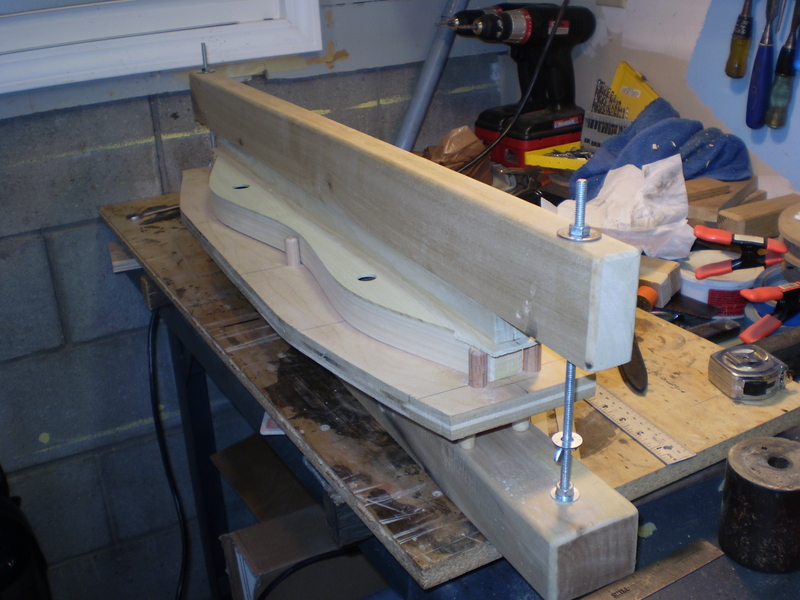 I remember thinking how nice the fret board jig was, then as I admire my handy work I realize the fret board was glued up with the strum hollow on the upper bout. It too was a prototype and wound up in the fire barrel as many have. If it’s early in the process it’s a little easier to swallow, learning by mistake. Each dulcimore is a little easier than the last. I have to be careful not to get too relaxed in my day. I still smile when I’m carving and sanding away the hour, but tragedy is just a moment away.